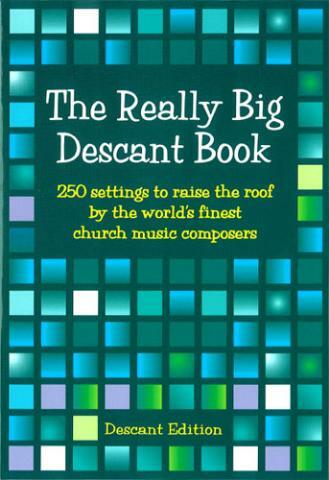 The Really Big Descant Book is a mega-collection of descants to all the best-loved hymn tunes, many set in two keys to match both older and newer books, and all within the range of the parish singer. To complement this Descant Edition of the Really Big Descant Book there is a Full Music Edition. The Really Big Descant Book was published by Kevin Mayhew in June 2009 and is our 21587th best seller. The ISBN for The Really Big Descant Book is 9781848671409. Be the first to review The Really Big Descant Book! Got a question? No problem! Just click here to ask us about The Really Big Descant Book.